Raj is a UK-chartered engineer with a degree in Mechanical Engineering from Imperial College London, and a Masters in Petroleum Engineering from Heriot-Watt University, Edinburgh. He was a founding member of Influit UK and Middle East in 2014 and is currently the Managing Director of the EMEA region. He is also part of the Group Executive Management Team. 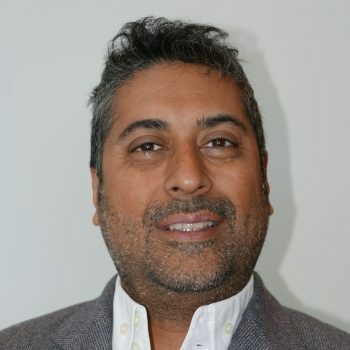 Raj has over 27 years’ experience that includes being a founding director of Siwa Petroleum, a company which provided engineering and project management services with a focus on early production and it was acquired by Weatherford International in 2009. Previously, he spent a decade at Expro Group and held positions including Group Manager of the Production Solutions Group, Group Marketing Manager for Well Testing & UBD, and Sales & Marketing Manager for the Surface & Environmental Systems Global Business Stream. He then joined Global Process Systems Inc (GPS) in Dubai as the Group Manager of Projects that diversified the company’s interests into Early Production Facilities and Mobile Offshore Production Units. Raj concluded his last assignment at Weatherford as the Project Director on the $1.5 billion Iraq Mega-Project, Zubair IPF based in Dubai. He started his career in the oil & gas industry as a graduate trainee at Foster Wheeler Pet. Dev. in London, working on a number of UKCS projects. Raj is currently based in the Influit Dubai office.